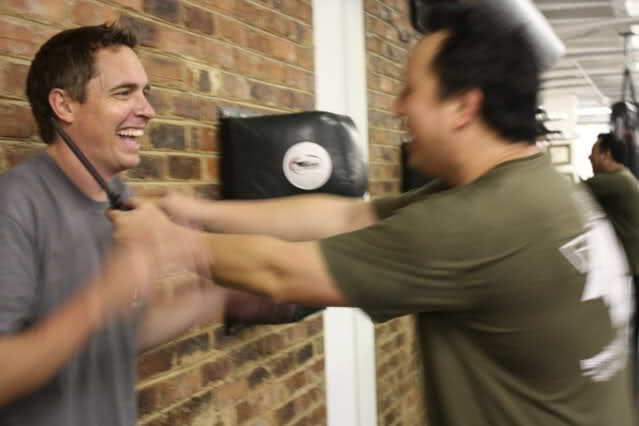 I have taught Krav Maga seminars all over the world. I have had the privilege of training with some of the world's best. Here in Israel, during our Tour and Train programs, I have had the honor of hosting Krav Maga students and instructors from many lands. My first Italian seminar was on the island of Sardinia at the Farrari gym. The owner of the gym, Fabio, is a wonderful man, kind and generous. Seventy (70) participants attended the seminar, which concluded with a thundering round of applause that shook the room. Some of the participants were beginners; they are like a white sheet of paper and open to learning. Others are veteran Krav Maga instructors certified by other organizations. Often they are accustomed to doing many of the techniques differently. When they come to train with me they are often surprised to see how different many of the techniques are. It gets them thinking and I see a lot of "head scratching". I imagine they are thinking…"Hmm, this looks different but it seems to make sense. ", or "This feels different, it is not what I am used to." Often they will ask questions, in a respectful way. As instructors they want to understand why IKI Krav Maga is "different from all others". They need to understand how it works; they will have to explain this to their own students. And then there are those who are reluctant to contemplate any sort of changes in their Krav Maga techniques or strategies. Some, in fact, are adamant; they will continue to do things as they have always done. They cannot possibly admit that perhaps the way they were doing things until now was incorrect, or less effective. This reminds me of a lesson I learned years ago. I love my dear Aunt Rose, of blessed memory, very much. I often visited her and my uncle for the Sabbath dinner. One night she prepared a special delicacy, expensive, quite a treat. Only thing was – I did not like that particular kind of food. No problem, I eat it and said it was delicious. The only problem was that next time I came over, guess what, "I remember how much you enjoyed this dish last time so I decided to make it again, despite the cost and effort." Oh my, what could I do? If I confessed to not liking it now she would be doubly offended, and she would feel foolish for having prepared it a second time. And so it went on, with every visit she prepared this dish, and I eat it. This continued until she passed away. Looking back I am happy that I did not offend her but I realized that for the future it would be better to be more forthcoming. I have learned since then to say, "Thanks, I really appreciate the effort, but this is not my kind of food." The point is the sooner you admit your mistake the easier it is to deal with it. Once I had said I liked the dish I got stuck with that "story". Similarly if you teach a certain outdated Krav Maga technique and you keep insisting that it is the best and you refuse to try anything else – well, the longer you say this the harder it will be to change. The mistake here is refusing to open your mind to something new. My students have already discovered that I am not perfect and "all knowing". They realize that sometimes I make mistakes and need to correct them. They know that often, over time, techniques change; out with the old, in with the new. The sooner you admit something, the easier it is to change. I sincerely believe we are both very much on the same page. In my terminology there is never, ever ONE solution to any problem or situation. All conflicts are dynamic, kinetic and evolving…In order to deal with any of these successfully one must be flexible and, most importantly, be totally open minded and receptive to change as long as the change is positive. There are way, way too many traditional martial artists/instructors (and, I suppose Krav Maga instructors) who are, for all practical purposes, "brainwashed" into thinking that what they were taught is “gospel” and will work successfully under any and all circumstances as long as you “do it the way I show you”. As I suspect you realize my nature is to analyze and, if you will, dissect any and every technique I see and am shown and to test it to the extent possible in practice. As you know I also question (in a constructive way) even some of your techniques (granted, with a bit of reluctance). Your attitude of accepting such questioning and helping all of us (IKI members and others) to better understand is admirable and totally unique (in my experience). Add this to the fact that you are willing to observe, analyze and, in some cases, incorporate techniques developed and/or learned by others if they indeed work, you become then the factual and actual “Grand Pubah” of self defense at least in my mind. I am not One who tends to flatter others but I do say what I think. I have a hunch that you are very similar in that regard. While you may never get as rich as some of your alleged competitors it is my sincere belief that you will have a MUCH greater impact on the world of self defense and reality based self protection by continuing to allow your techniques to evolve based on real world involvement than anyone in the history of self defense teachings. Traditional martial arts are, as you well know, great for what they are and for where they came from…..People need to understand that they are what they are and nothing more, in spite of the movies, TV and “show-niques)” demonstrated by many martial arts schools. It is my belief that our society is going in a very dangerous direction and that your approach may well be the only viable solution for those of us who sincerely want to be able to protect ourselves and our loved ones from what society has spawned. With the establishment of the modern state of Israel in 1948, the world saw a new Jew arise from the ashes of the Holocaust and from millennium of persecution in Arab lands. From the four corners of the earth, the Jewish people, the nation of Israel, returned home. The "Dry Bones" came to life creating a democratic state and a powerful military. But this was not a new Jew at all. It was just the old Jew getting up from the ruins of his destroyed life in the exile, dusting himself off and returning home. Moshe Katz is a high ranking Krav Maga instructor and founder of Israeli Krav International (IKI). He is a graduate of UCLA, Bernard Baruch College and Wingate Institute. In addition he spent many years in yeshivoth (Rabbinical colleges). 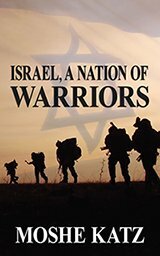 He brings his knowledge of Jewish history, martial arts training and life long experience of living in Israel to form this unique book. 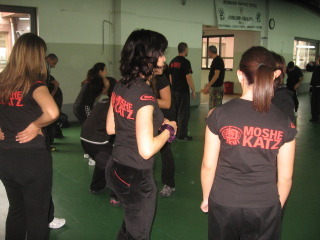 Moshe lives in Maaleh Adumim, Israel and conducts Krav Maga seminars throughout the world.